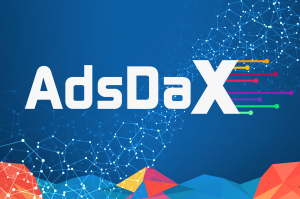 LONDON, UNITED KINGDOM, April 10, 2019 /EINPresswire.com/ -- Havas Media has partnered with tech provider AdsDax to harness the potential of using blockchain advertising technology to aid in the transparent measurement and tracking of ad data over the course of a campaign. Launched two weeks ago, the campaign uses the AdsDax advertising platform to run rich-media creative that promotes food delivery service “Swiggy” in India to mobile device users during the cricket season. 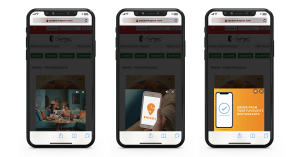 Throughout the campaign over 2.3 million users engaged with the advert, with all user engagements being tracked directly from the user’s device on a public blockchain. This addition of a blockchain tracking layer gives advertisers a greater visibility towards their campaign goals. During the course of the campaign key payable event data from the adverts is sent from the consumer’s device to the blockchain, where it is verified and validated by 3rd parties before being stored on an immutable, distributed ledger. This transparent data is available to the advertiser almost instantly, allowing them to review exactly what they are buying in real time. This not only speeds up the review time on campaign performance for media buyers, but also helps media buyers make decisions on how to spend their budget more effectively, thus reducing wasted budget. The AdsDax vision for a new ecosystem is a unified platform that facilitates all aspects of advert creation, campaign delivery, traffic and content verification and optimisation with transparent reporting and costs. The aim is a platform that allows all participants to benefit from the money that is currently wasted through middlemen and instead rewards consumers and incentivises participants to create a more engaging and relevant ad experience. The founding team started as Yamgo, a mobile-oriented content provider which monetised video on mobile. As Yamgo we saw the problems content owners had monetising their content. We evolved into AdSpruce and worked to solve the problems of monetisation for content owners, enabling them to monetise video and display inventory. Through AdSpruce we developed an end-to-end video advertising platform with 28 of the world's top 100 Ad Age brands using our platform and a publisher network with over 1 billion ad code requests per month. Havas Media is the main media brand in the Havas Group and operates in 144 countries. Our mission is to unite brands and people through meaningful connections and drive business success. We service clients through a portfolio of specialist teams that span media, strategy, international management, digital, mobile, social media, experiential, entertainment and sport. Our simplified and integrated structure has allowed us to build one of the most integrated, agile and responsive global teams in the industry.